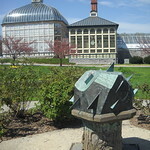 745 acre park includes the 150-acre Maryland Zoo and 135 acres of woodlands. The third oldest major landscaped public park in the United States, it was purchased by the City in 1860. The park is located at the juncture of the hilly Piedmont Plateau and the gently sloping Coastal Plain. 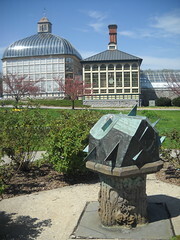 It includes the newly renovated historic Rawlings Conservatory and Botanic Gardens; 8 Historic Picnic Pavilions; 1 soccer field; 1 football field w/lights; 2 basketball courts w/lights; 2 volleyball courts; 5 baseball fields w/lights, 17 tennis courts w/lights, 5k of roads (with some great steep hills) for cycling, jogging and walking; Historic cemeteries; Druid Hill City Farm Gardens; Safety City; and a swimming pool. Wendy Oct 2012 "Parks are great places to learn!"